F1 racing should be decided by "natural" circumstances on-track to avoid "messy" penalties that alter the outcome of a race, according to former HRT and Lotus driver Karun Chandhok. Ex-Formula 1 driver Karun Chandhok believes racing should be decided by a “natural penalty” to avoid “messy” post-race punishments that affect the outcome of a grand prix. The former HRT and Lotus driver, who is now a member of the FIA’s Drivers’ Commission helping to improve the standards of racing, is pushing for a return of gravel traps after a number of F1 circuits have opted to tarmac extensive amounts of run-off areas in recent years. Chandhok highlighted incidents involving Max Verstappen at last year’s Japanese Grand Prix, and at the 2017 United States Grand Prix - where he received a controversial post-race penalty that dropped him off the podium - as examples of “complicated” situations he feels can be avoided. “Look at Suzuka when Seb and Max hit each other, Max lost 0.5s by running way off at Spoon curve and coming back on - that’s just wrong,” Chandhok said at the Autosport International show. “When drivers go off track they should be penalised and there should be a natural penalty. I want races decided on the race track, I don’t want it decided in the stewards room. “I don’t want a situation like Austin with Max and Kimi, it’s discussed in the stewards, you see the chequered flag and somebody finishes third but then another bloke is on the podium. “It’s just messy and complicated and the stewards shouldn’t have to get involved in that, that sort of stuff should just be decided on track. I think that’s what racing should be. “It’s also inconsistent,” he added. “For everyone looking on TV, you go ‘hang on, at Turn 9 they are allowed to go way off track, way beyond the white line, yet if they do it at Turn 19 they get their lap time taken away’. Chandhok suggested circuits could do more to balance out the dilemma of hosting multiple categories of top-level motorsport, and highlighted Austria’s Red Bull Ring as an example of a track that has been proactive in catering to the safety requirements of both F1 and MotoGP. “There’s a lot of inconsistencies and Silverstone is another one where they put tarmac down everywhere,” The Indian explained. “Part of the problem is balancing what FIM [motorcycle racing governing body] want for bikes. These circuits now host MotoGP and F1, there’s different requirements, but there’s things you can do. 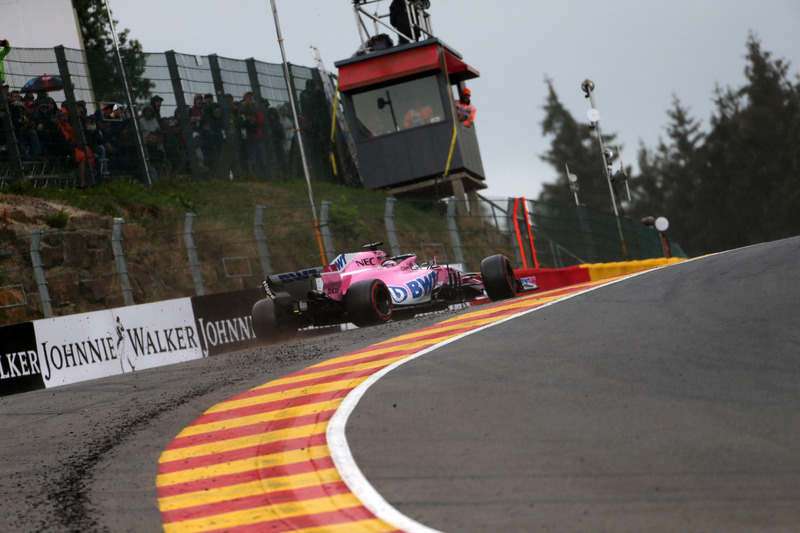 Chandhok is worried a number of circuits, such as Spa-Francorchamps, are starting to lose their challenge and appeal due to a radical amount of changes. “There’s pluses and minuses to everything and the one thing you can never do is compromise safety,” he said. “But equally we’re opening ourselves up to other problems now. One of the biggest challenges and one of the things we are trying to counter is, you don’t want to take away the pleasure of driving. “I look at Spa, for example, I raced their last year in the World Endurance race, and for me they’ve ruined Spa. “One of the biggest challenges used to be going through Eau Rouge or Pouhon and you are on the edge. “It’s a bit damp and you are on slicks and the car is sliding around and you are on the edge of the track but not in the gravel and you come over the top of the hill at Raidillon and think ‘wow, got away with it’.